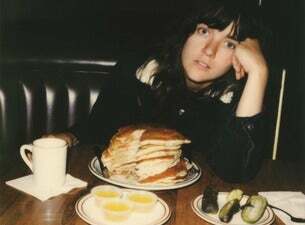 Since the release of her debut full-length Sometimes I Sit And Think, And Sometimes I Just Sit, Courtney Barnett has been celebrated as one of the most distinctive and compelling voices in indie rock, a singer-writer who mixes deeply insightful observations with devastating self-assessment. Flipping between the political and personal with face-melting guitars to boot Barnett's rise to global prominence is unprecedented. From the housing crisis of 'Depreston' to the hell of internet trolls in 'Nameless Faceless', the 30-year-old's everyday narratives have now weaved into collaboration with The Breeders, Kurt Vile and long-term partner Jen Cloher. Rolling Stone praised her as "one of the sharpest, most original songwriters around-at any level, in any genre... a self-strafing humorist a la Lena Dunham who's also a Dylan-style word ninja". She's a critical darling with an adoring fanbase to match. Barnett's electric live shows have seen her grace the stages of the biggest festivals of the world, playing to adoring audiences across five continents. 2017 saw the release of the wonderful album Lotta Sea Lice an album of duets with Kurt Vile and a gorgeous place-holder while we awaited the release of Tell Me How You Really Feel. Tell Me How You Really Feel will be released May 18th through Barnett's own label Milk! Records followed by a string of worldwide tour dates, including all ages shows in Auckland and Wellington in August. One of the most unique Australian voices to emerge this century, see Courtney Barnett tear up the stage with whiplash wit and a full band this August and September, with support from label-mates East Brunswick All Girls Choir.